A well-written and detailed invoice highlights the professionalism and precision of your Ecommerce store. This holds true even when you are providing certain products or services free of cost. However, it doesn’t mean that you have to spend time on sending invoices manually for such orders. 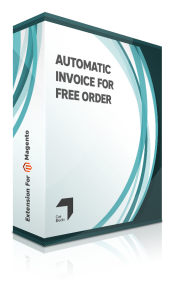 CueBlocks Technologies, a Magento 2 Trained Agency, is proud to present the Automatic Invoice for Free Orders extension for Magento. This module enables shop owners to generate a Magento invoice automatically for orders which have a grand total of zero amount. It will change the way you do business by serving your customers promptly and comprehensively. This extension is especially ideal for stores that offer free digital downloads and other such products online. It integrates well with prepayment orders thereby automatically generating an invoice and completing the transaction instantly. It can be enabled/ disabled at any time from the back-end and will work for all store views on your Magento store. While the automation of this process will diminish your worries about sending invoices for free orders, it does not imply that you will lose control; In fact, you will get the ability to include customized content in the invoice email. This workflow tool will save you a lot of mindshare and time while strengthening your relationship with the customers by building trust. It will also help you in keeping a better track of sales of products/ services that are free of cost and their profit index for your business. What’s more, it’s available for free at our online store! So, try it out now and write a review for us. For any further questions, information or inquiry, feel free to contact us at: support@cueblocks.com. 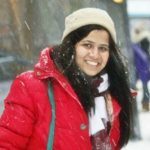 I come from a legal background but chose to pursue copywriting as I am passionate about the impact of words in marketing. I love helping brands in communicating effectively with their audiences. In my free time, I like to travel, socialize and catch-up on television series.